Drawn to Imagination: Happy Birthday, Dino!!! From the time I could crawl, my dad had "oldies" music playing in the background. He played everything from Al Jolson to the Bee-Gees! Classic cartoons often incorporated standards of the time, and my subconscious ate up each catchy melody. Needless to say, I was born and bred on music of the past, and enjoy it very much today. 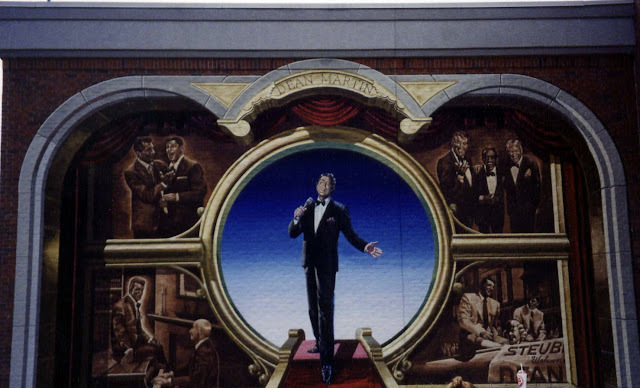 In high school, I discovered Dean Martin one night while watching a PBS special. That's Amore (1999) was the title, and it featured clips from The Dean Martin Variety Show (1965-1974). 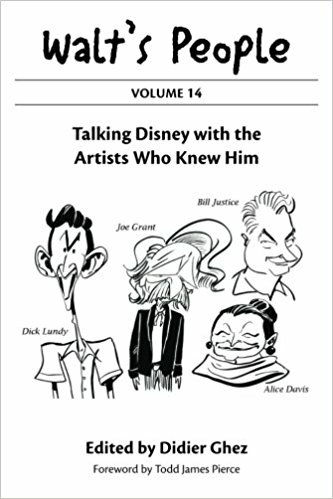 Rather than highlighting Martin's pratfalls, corny jokes, and his convincing portrayal as a drunk (which he was not), this special highlighted solo performances of his singing. 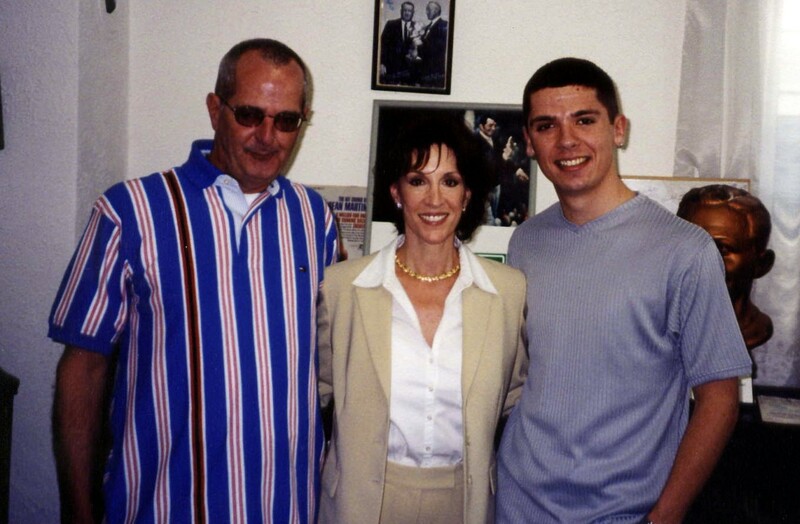 I remember being taken by Martin's energy and genuine sincerity as he sang. He personified the ultimate crooner, but he was just so much damn cooler than the rest. That Christmas, I found his greatest hits in our tree and have been listening to it ever since. 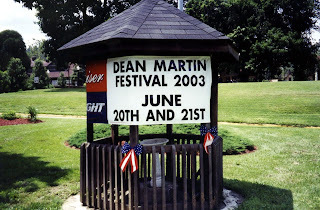 In the spring of 2003, my dad and I found out about an annual Dean Martin festival that was being held that June in Martin's hometown of Steubenville, Ohio. Without batting an eye, we made reservations and hitched a ride west from outside Philadelphia on a Greyhound. Our favorite - and first memory - of that trip was that of our cab driver (I take that back, riding on a Greyhound bus is a memory in of itself). The driver's nickname was "Crazy Horse," and let me tell you, he lived up to his name. The stories he told of the West Virginian locals (Steubenville, Ohio is right near the intersection of Pennsylvania, Ohio, and West Virginia) was enough to fill a book. But he was our chauffeur, and he was at our beck and call whenever we needed him! 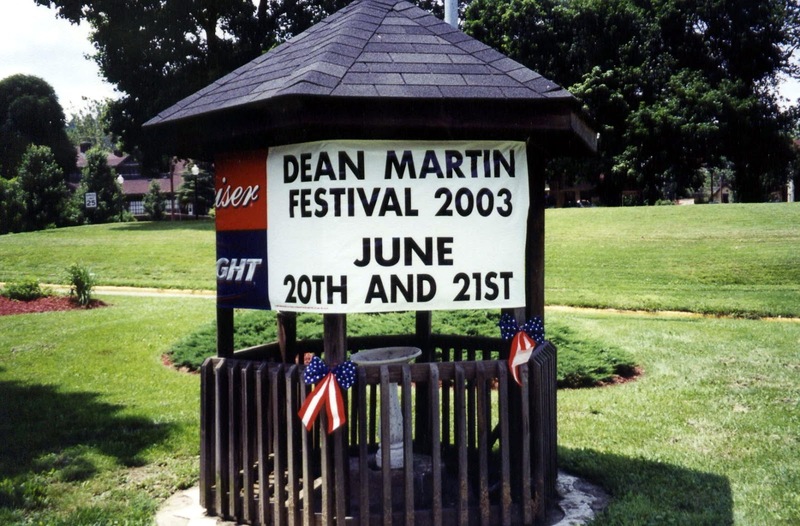 The festival itself wasn't anything to write home about; it was the history of the town, the people, and everyone's love for Dean Martin that drew us there. I remember there was a false fire alarm in an apartment building on the main strip. The firefighter got down from his ladder and blamed Martin's ghost for the prank. When you walk the town, it looks like something out of Twin Peaks, and the remnance of its mining industry in the chiseled faces of the surrounding cliffs was palpable. But there was a magic to it all, because it was Martin's hometown, and we were all there for a common reason. Mural of Dean Martin on the side of a grocery store in Steubenville, Ohio. We ate at restaurants, watched Dean Martin and Frank Sinatra impersonators, attended a live auction of genuine Dean Martin artifacts, visited the plot of land his home was on, and cheered at the town parade. For me, it was an age of innocence that swept me back to a time that I always felt I missed out on. One of the neatest experiences was visiting Steubenville's Historical Society, and running into Dean Martin's daughter, Deana - the grand marshal of the festivities. What an experience! I even had the chance to ask her a question at a Q&A later that day. I asked, "How did your father react to his knocking the Beatles off the #1 spot in 1964 with 'Everybody Loves Somebody?'" Her response, "He came home with such a 'big head' that we told him he'd never get out of his car." My dad, Mel, Deana Martin, and me at the Steubenville Historical Society. In all, it's a time I'll never forget with my father. 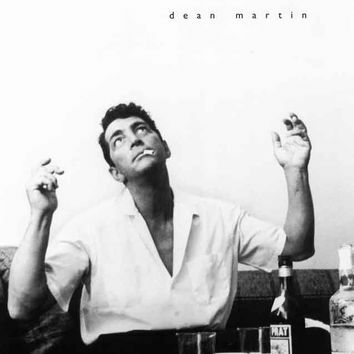 We talk about it still, and with Father's Day looming around the corner, and today being Dean Martin's 100th birthday, what better thing to write about than this journey I shared together with my dad. We thank you, Dino, and wish you a Happy Birthday!!! 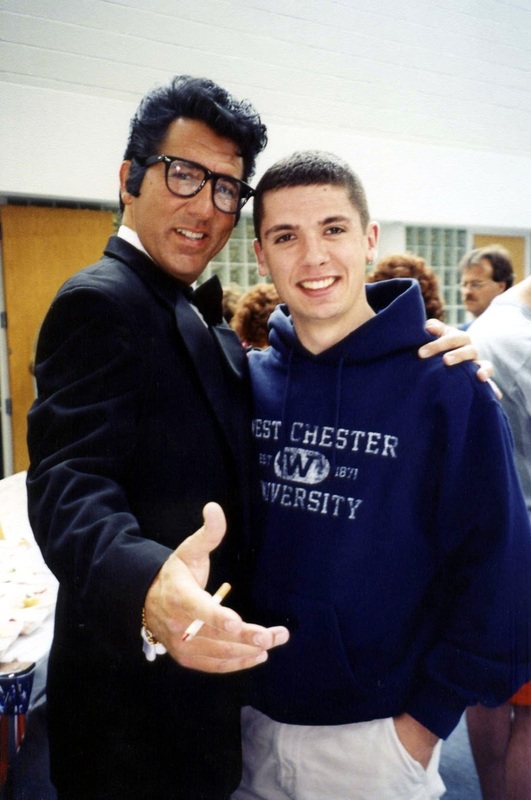 Me with Dean Martin impersonator, Tom Stevens.